I briefly mentioned previously about using gnu radio on Linux or OSX. Today I will walkthough the installation process on OSX. First install MacPorts if you have not already done so: http://www.macports.org. GNU Radio release, which is typically updated every few months. All necessary packages and components will be installed! 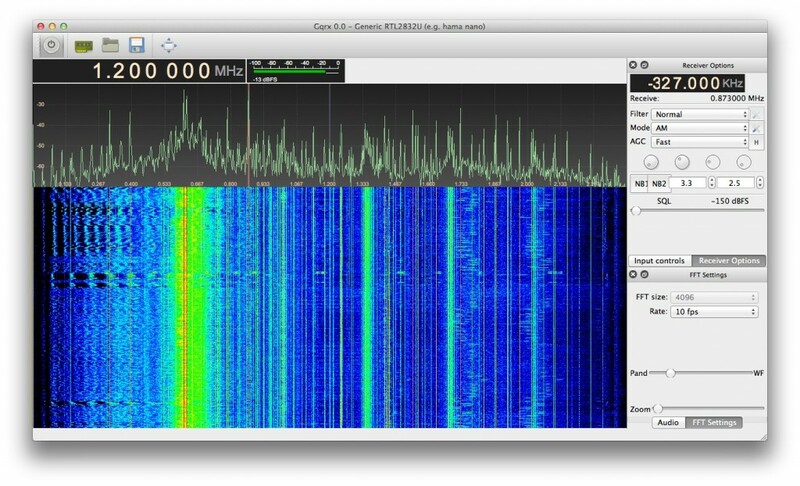 You can also use GQRX, to visualise the radio spectrum to identify and tune into specific frequencies. Since the update to Mavericks GNURadio was temporarily broken, looking at the Macports Buglist the Team apparently had problems with swig and boost. I can confirm that as of this weekend the problem has been rectified, and once again we can enjoy radio and playing with RTLSDRs on OSX Mavericks.